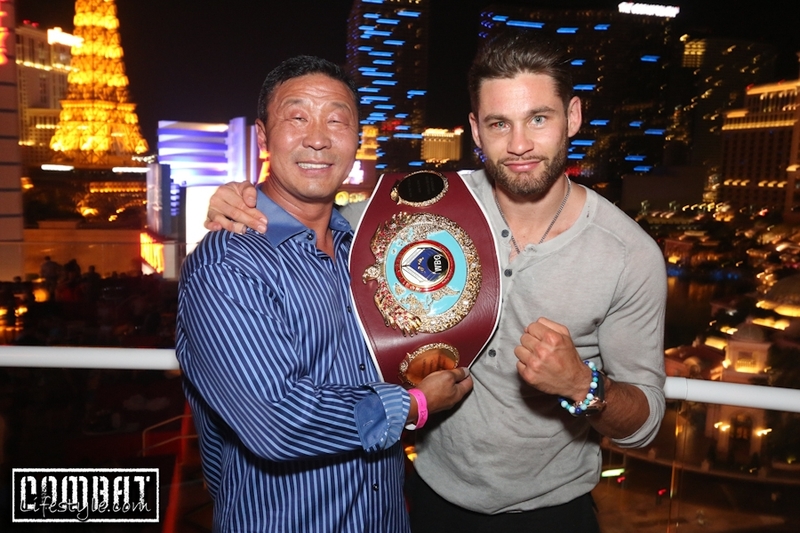 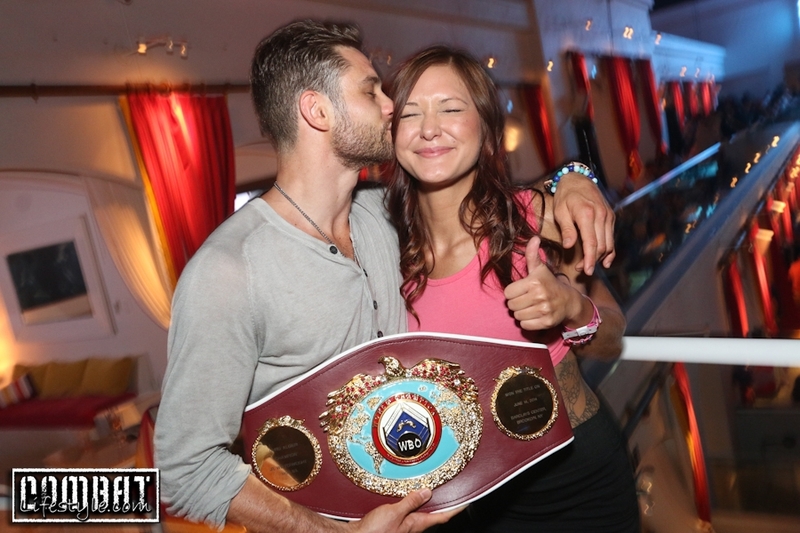 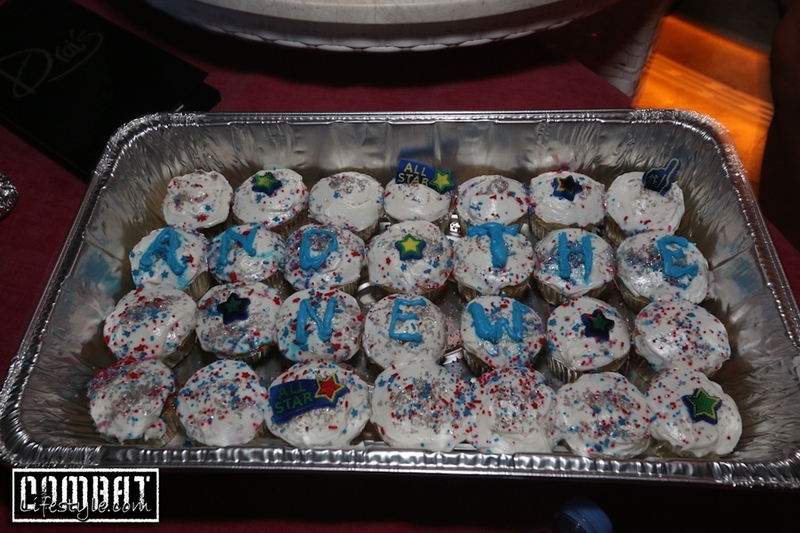 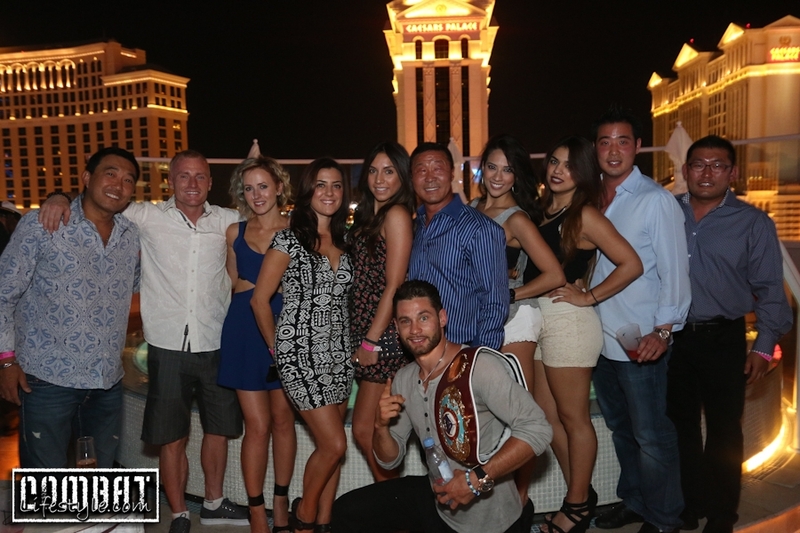 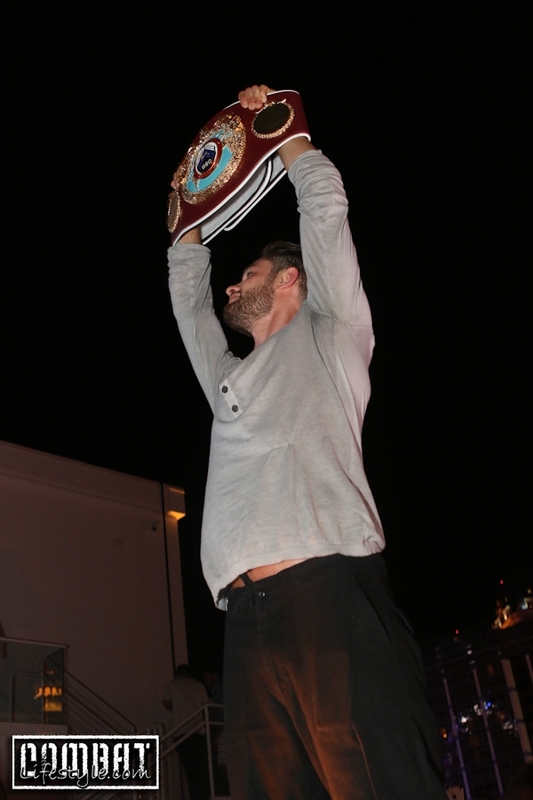 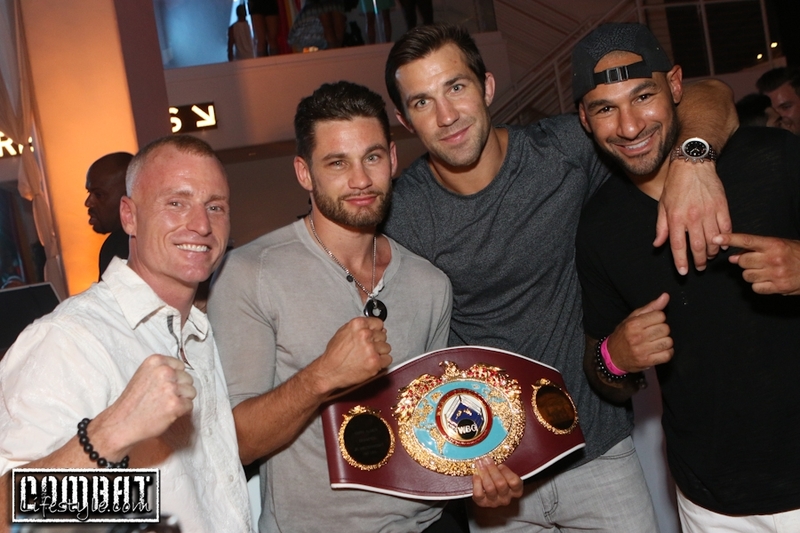 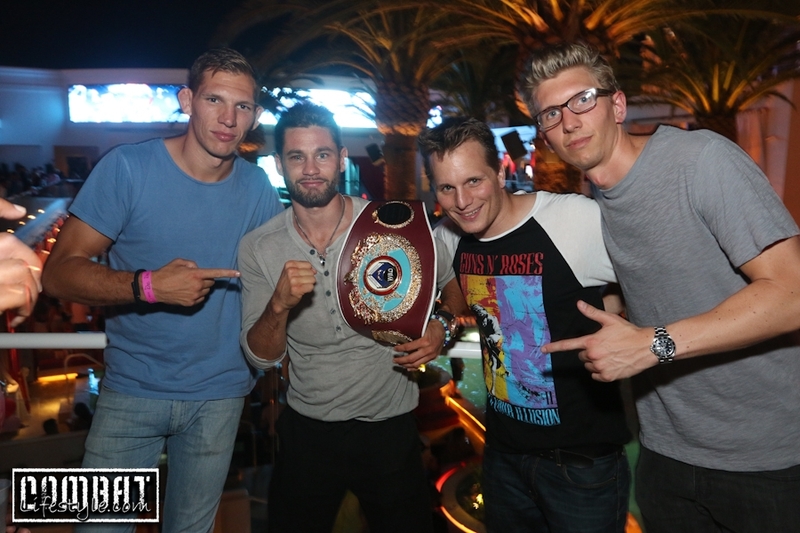 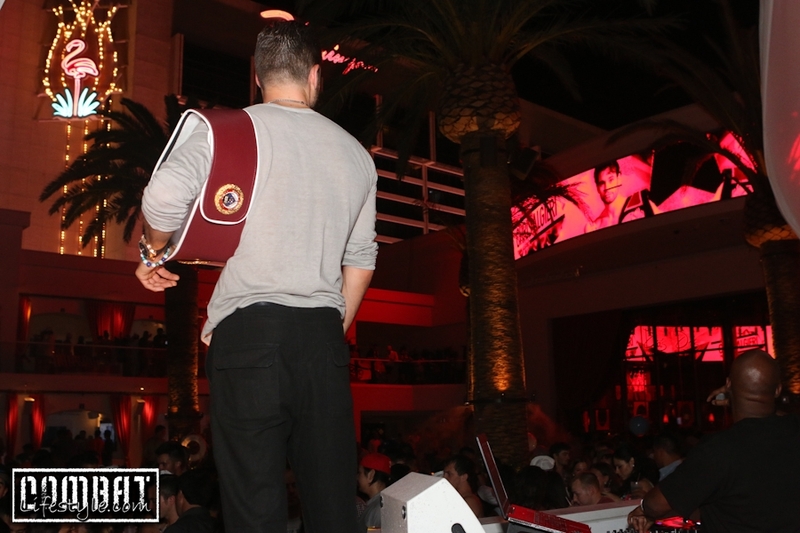 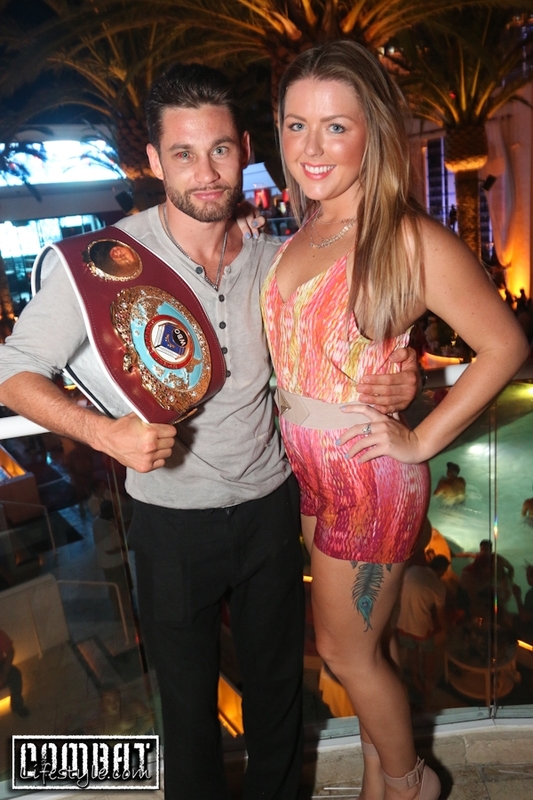 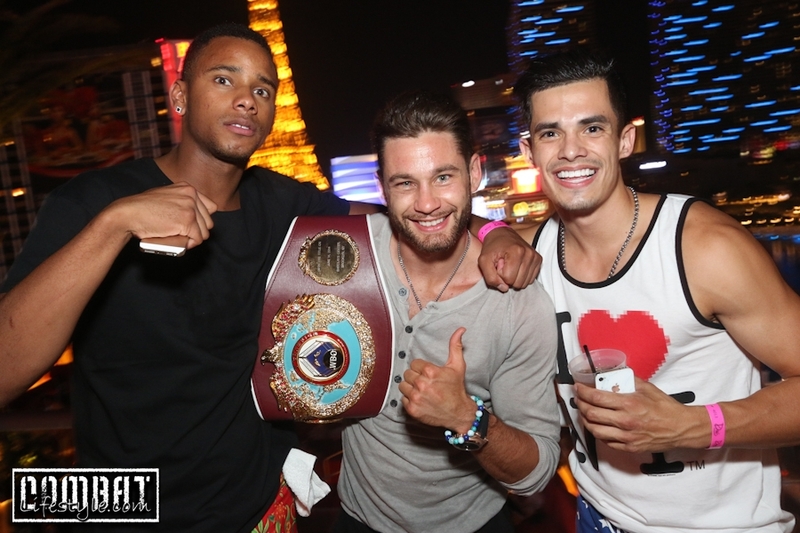 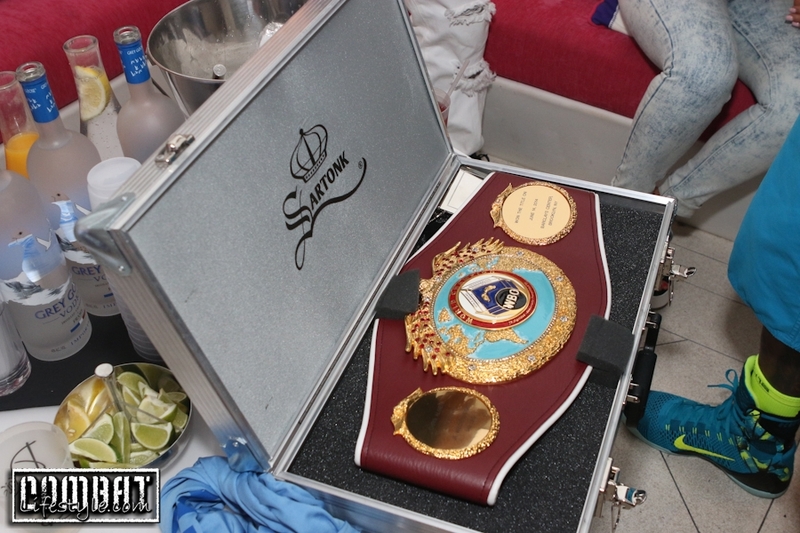 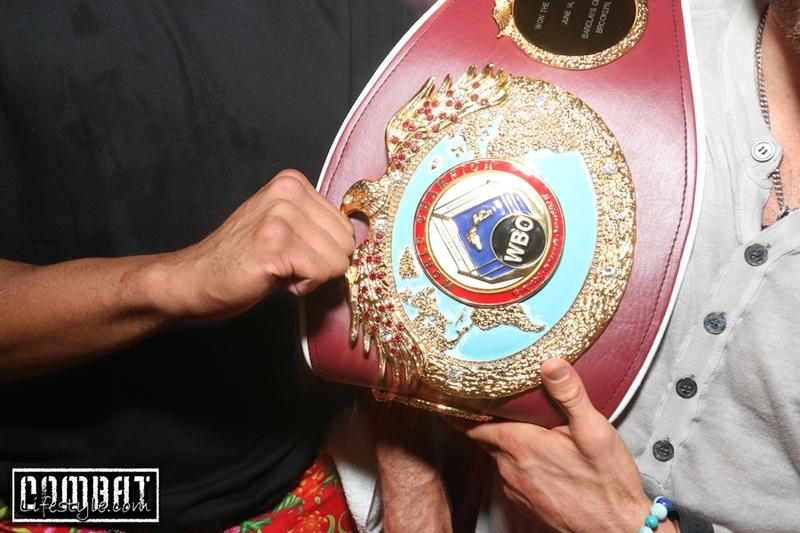 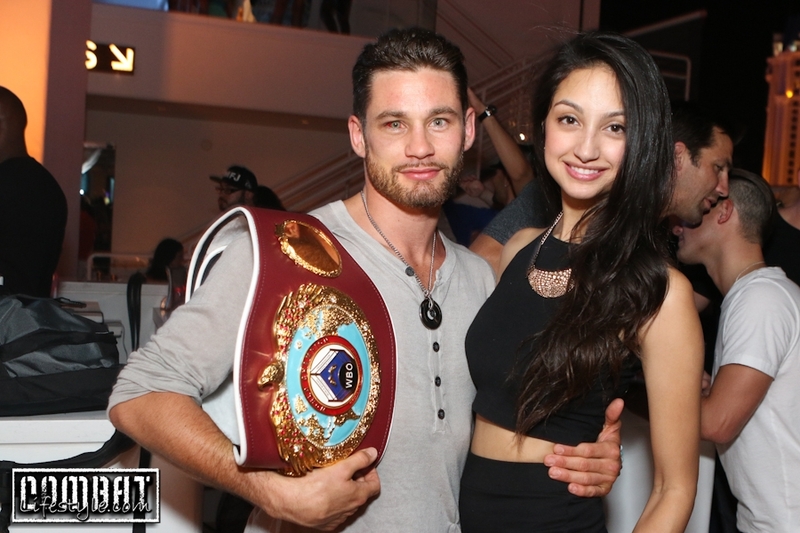 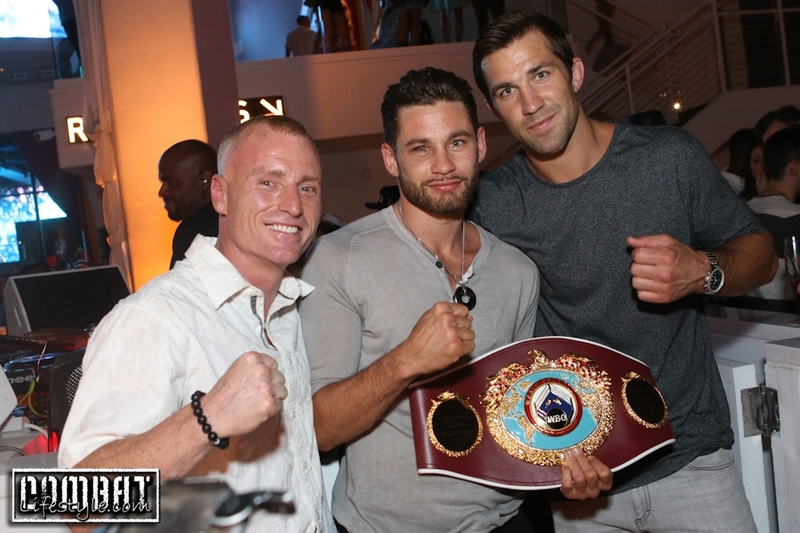 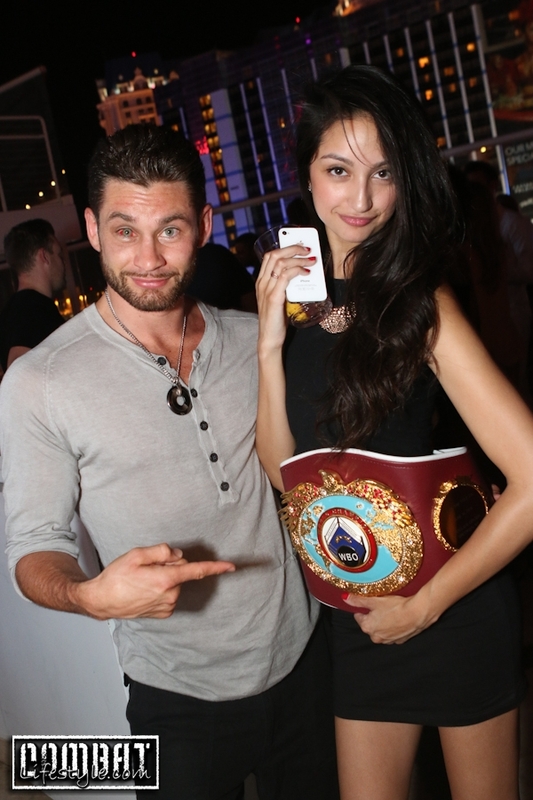 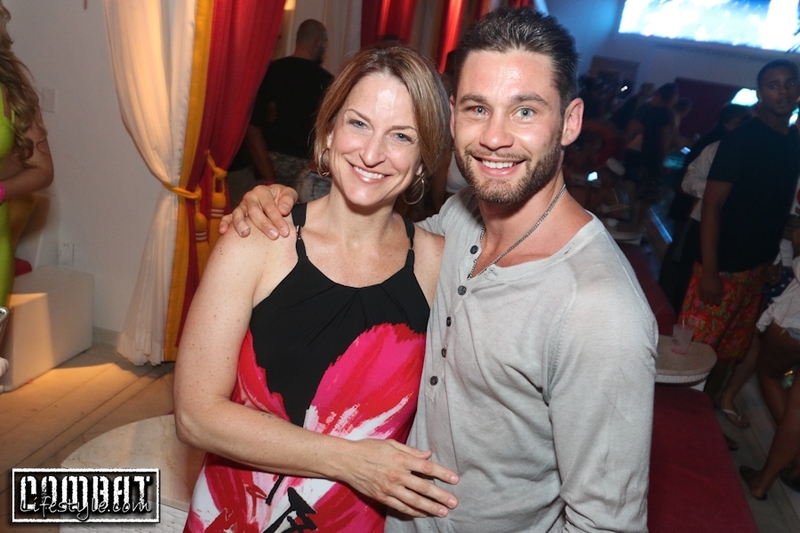 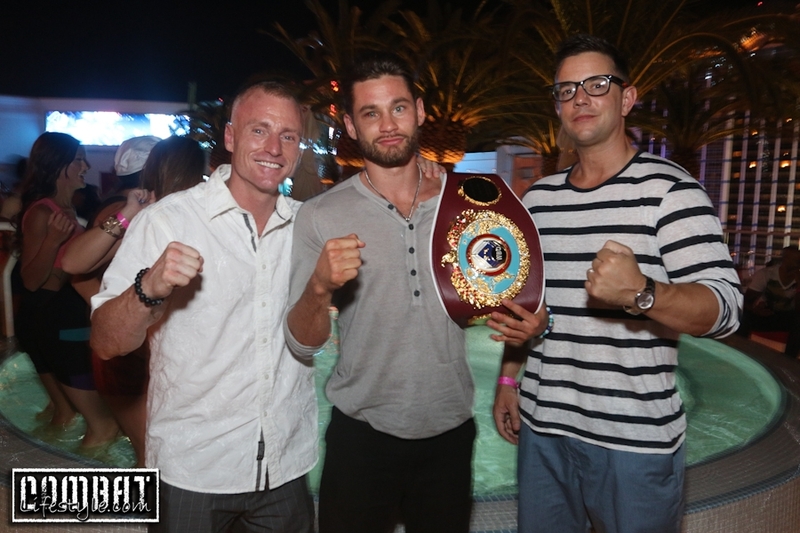 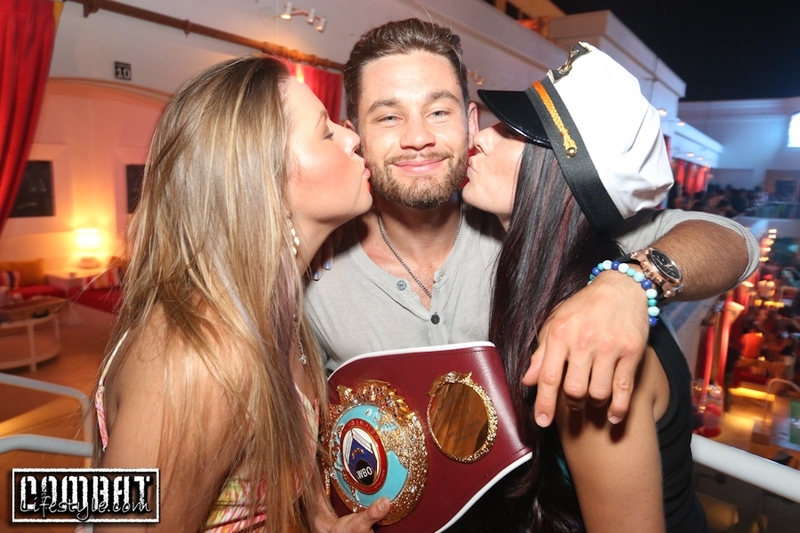 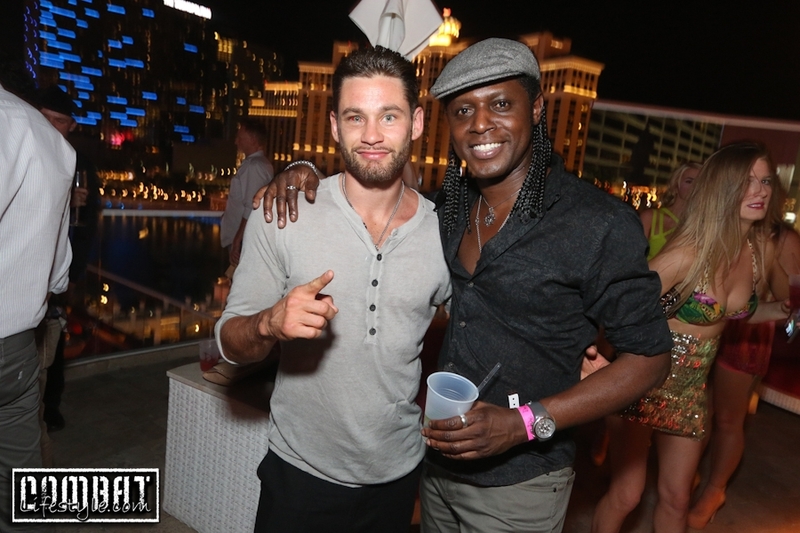 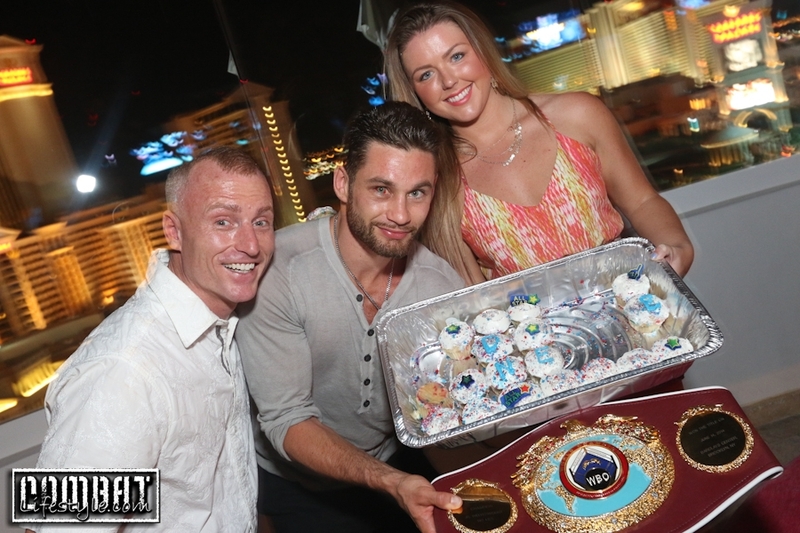 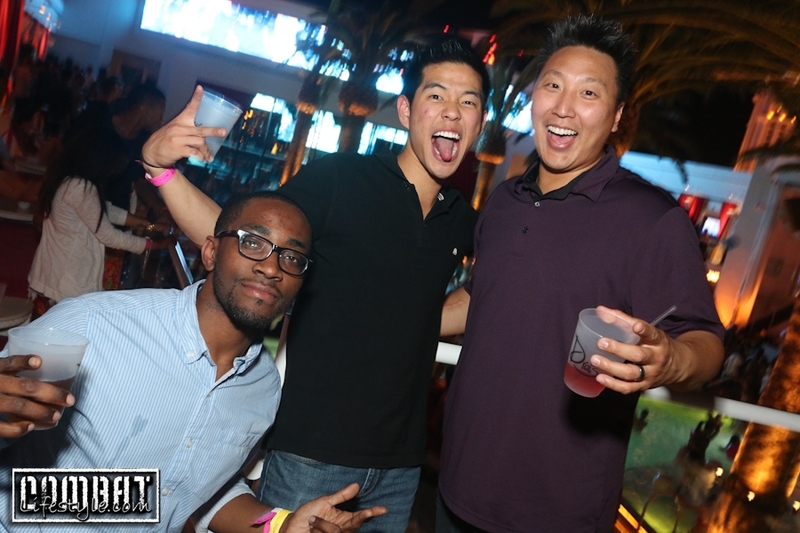 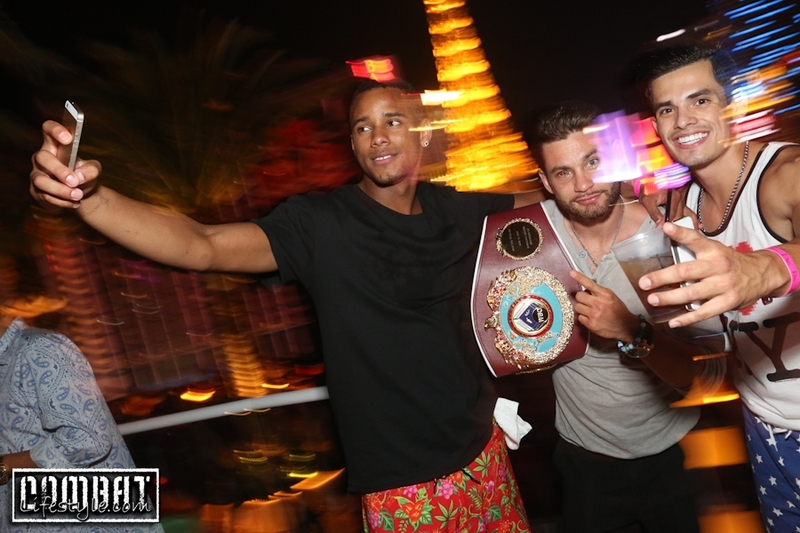 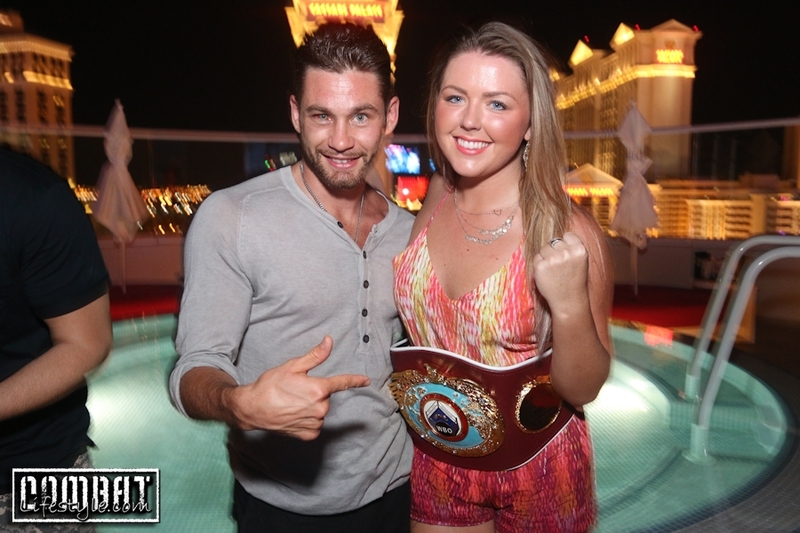 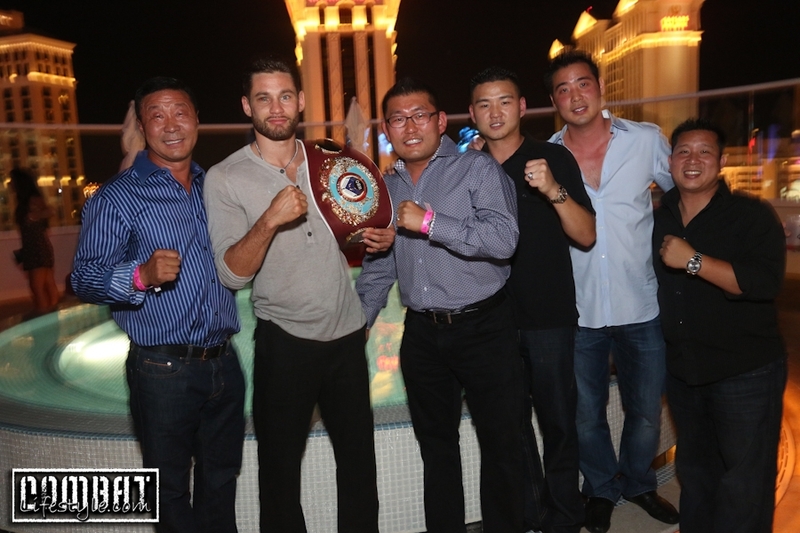 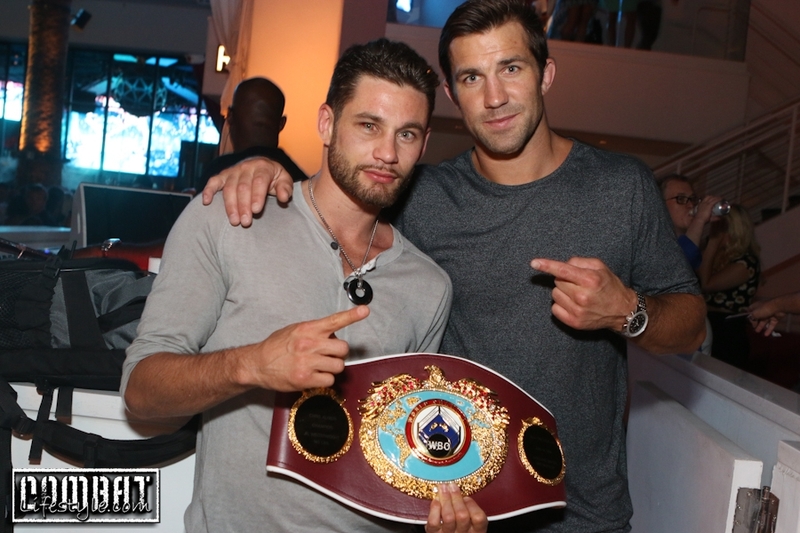 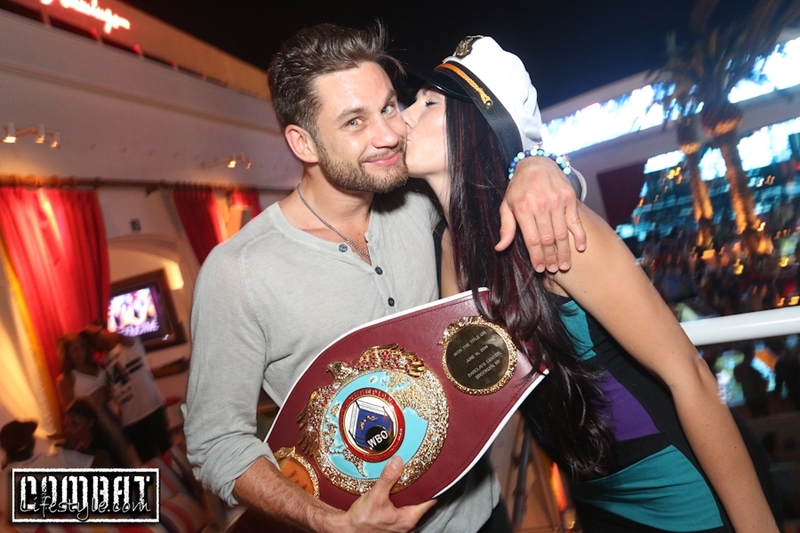 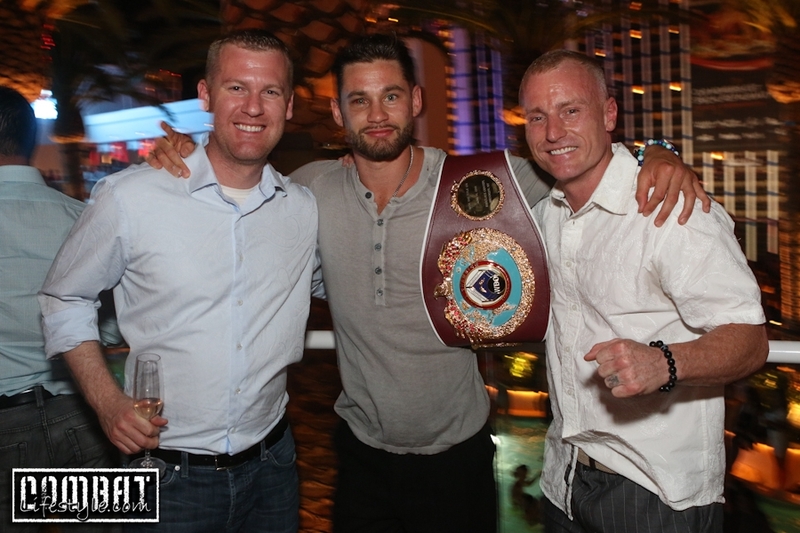 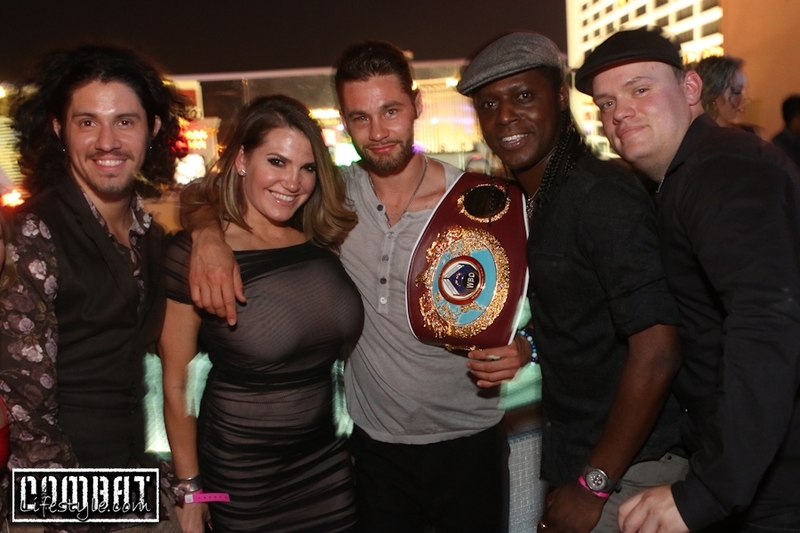 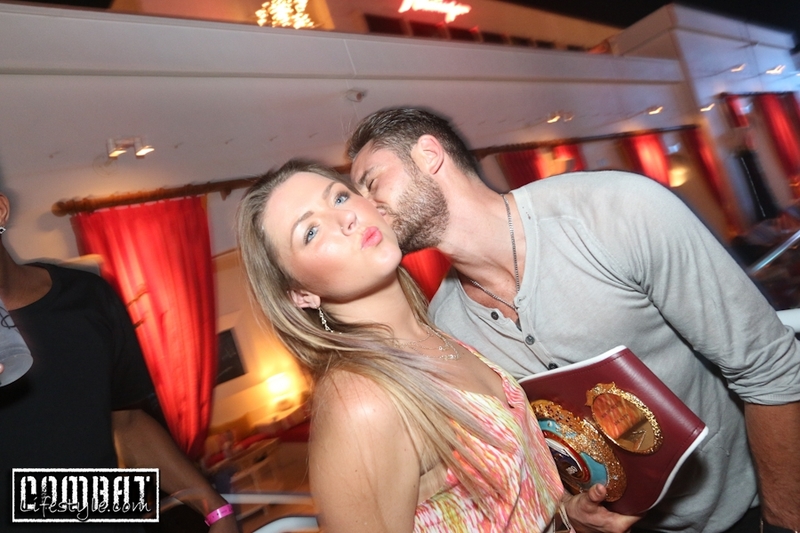 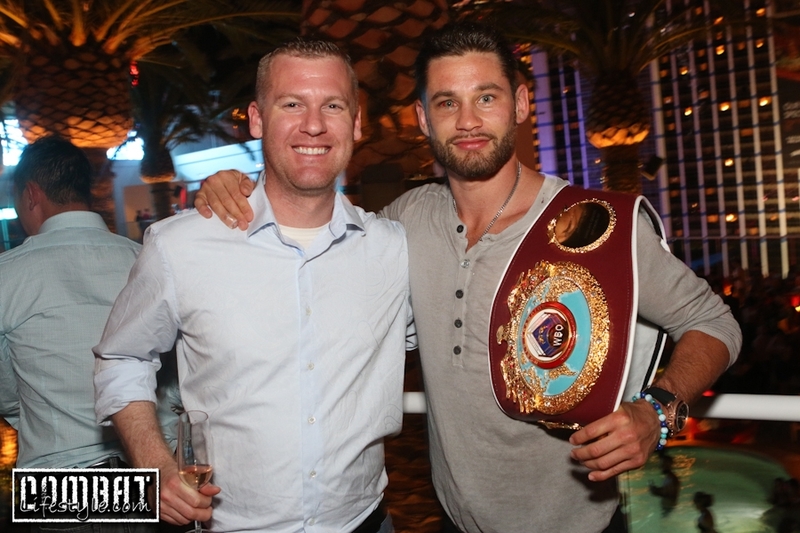 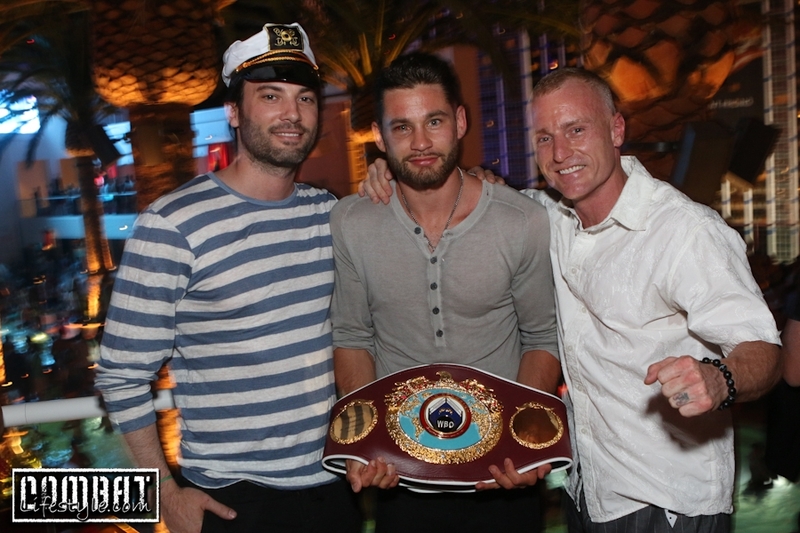 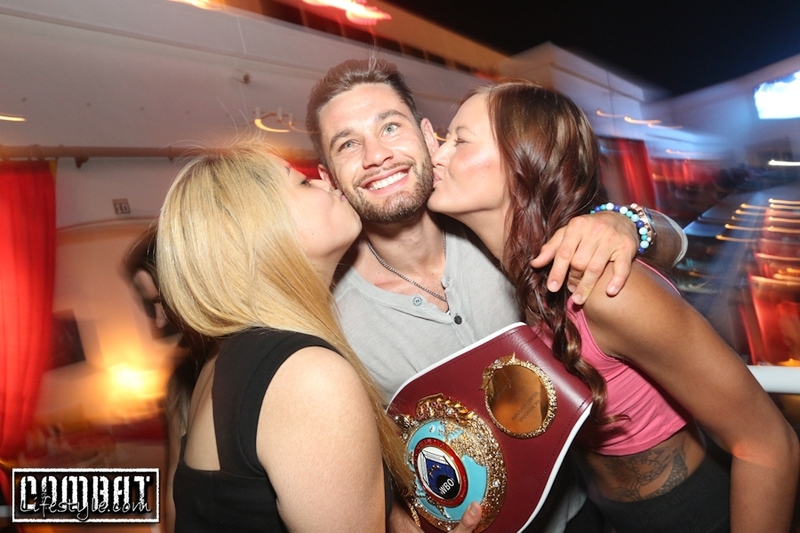 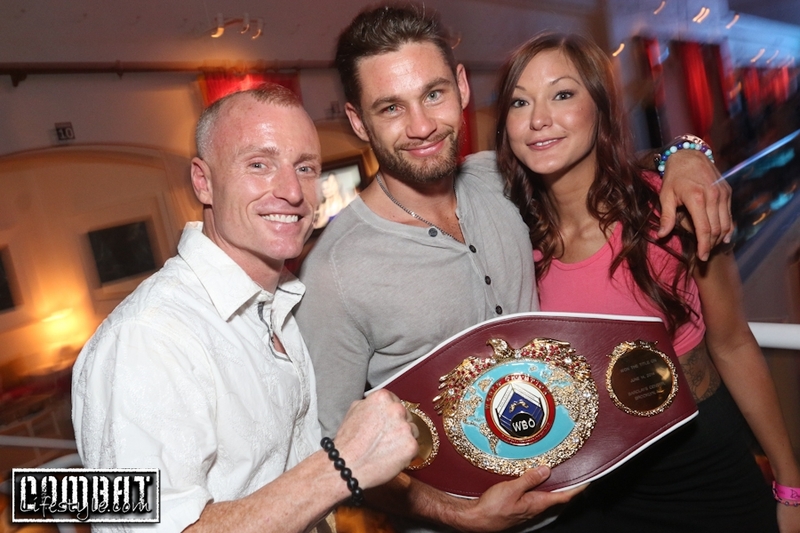 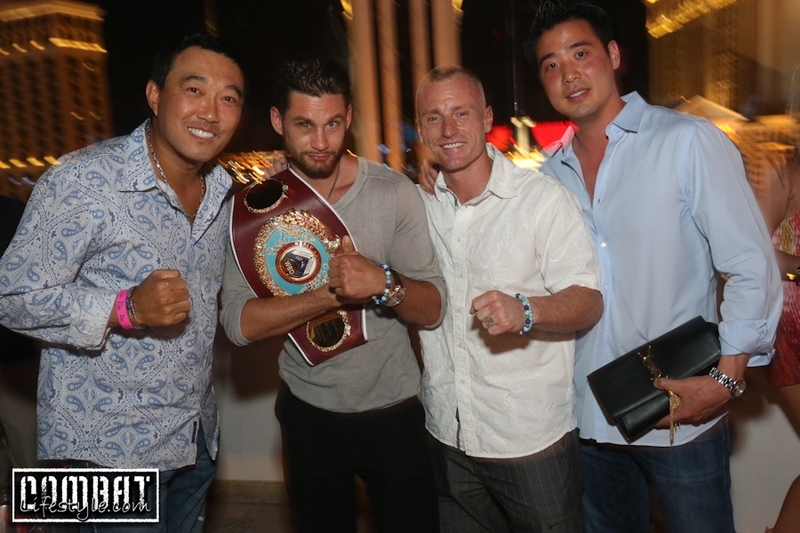 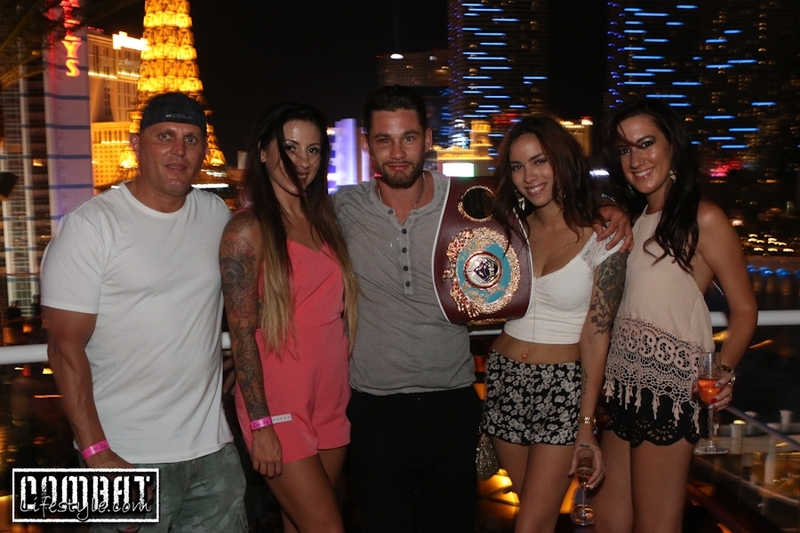 Home / Blog / Chris Algieri Celebrates Win and Potential Manny Pacquiao Matchup! 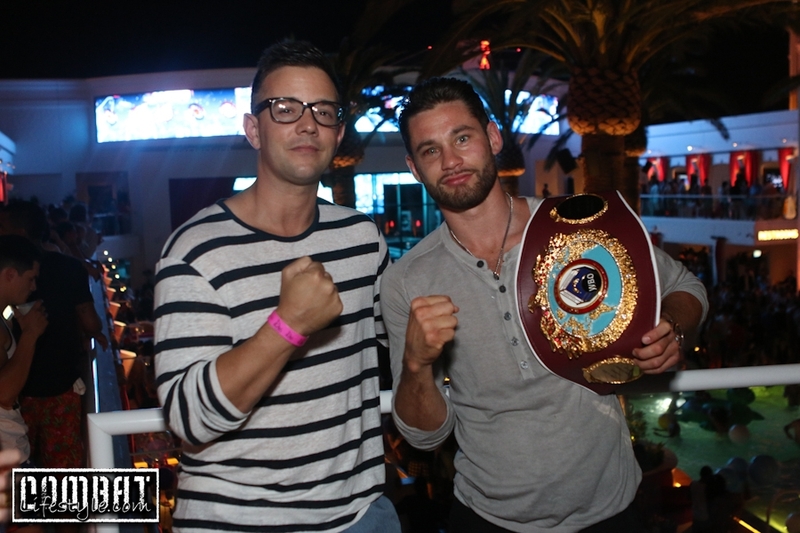 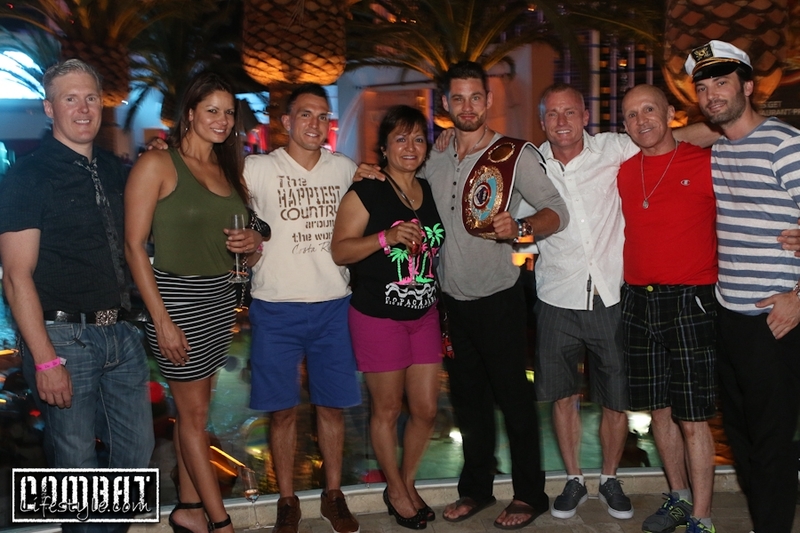 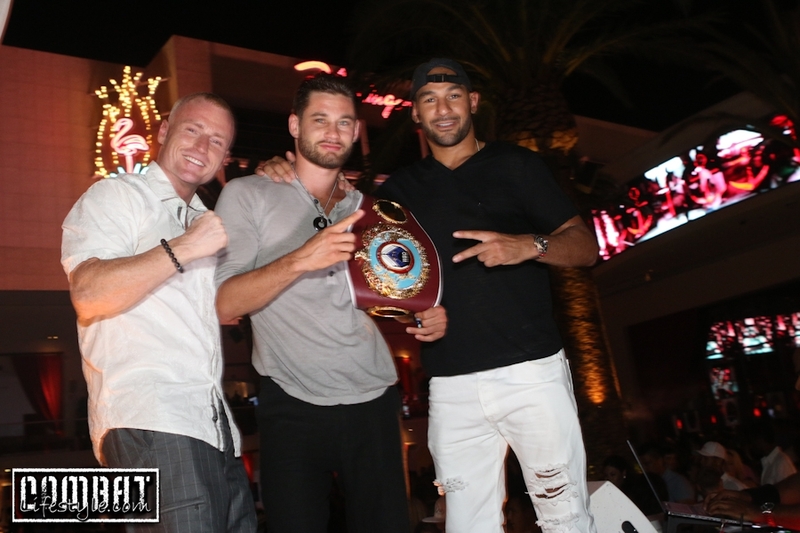 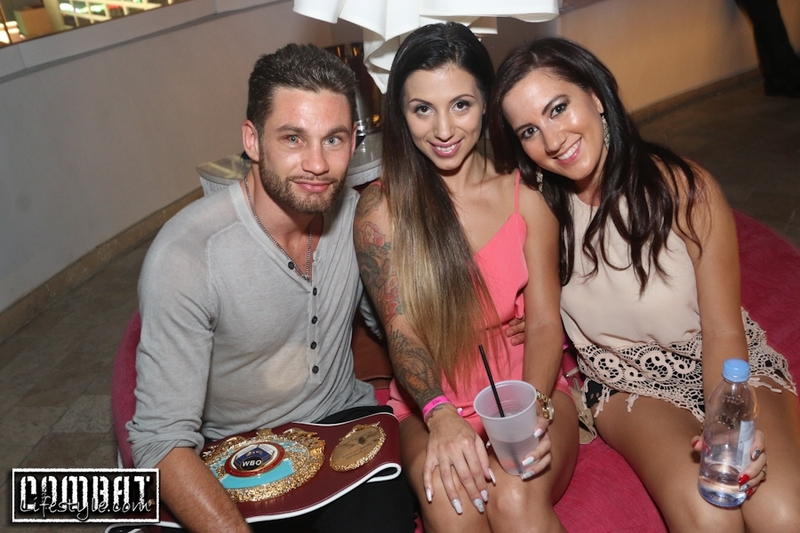 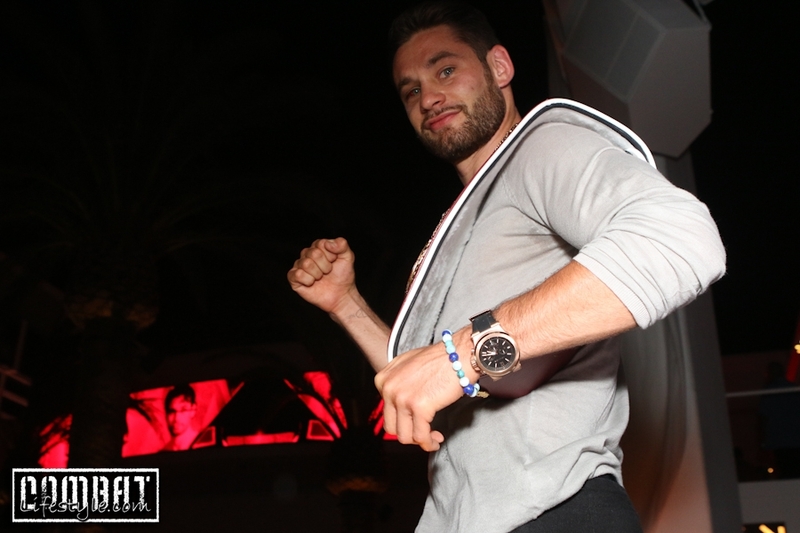 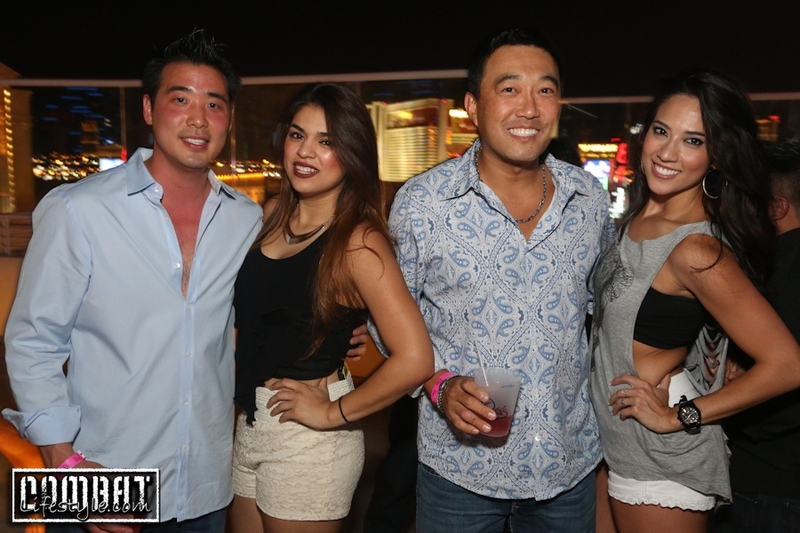 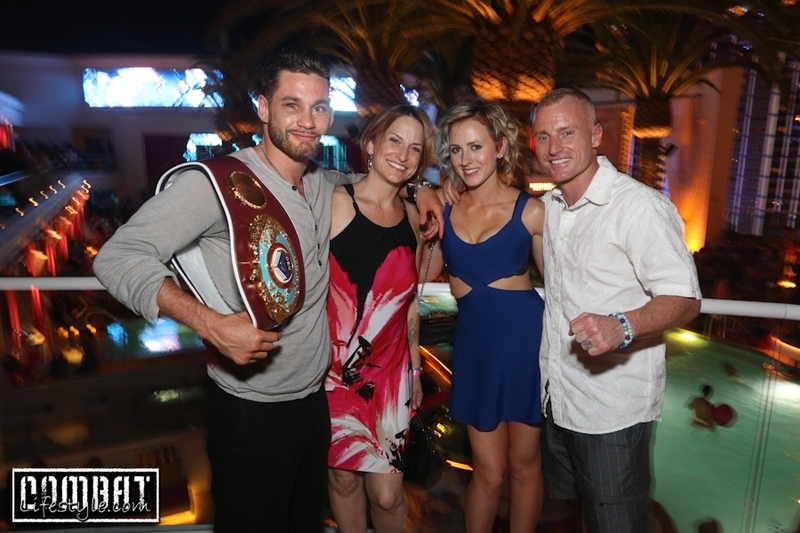 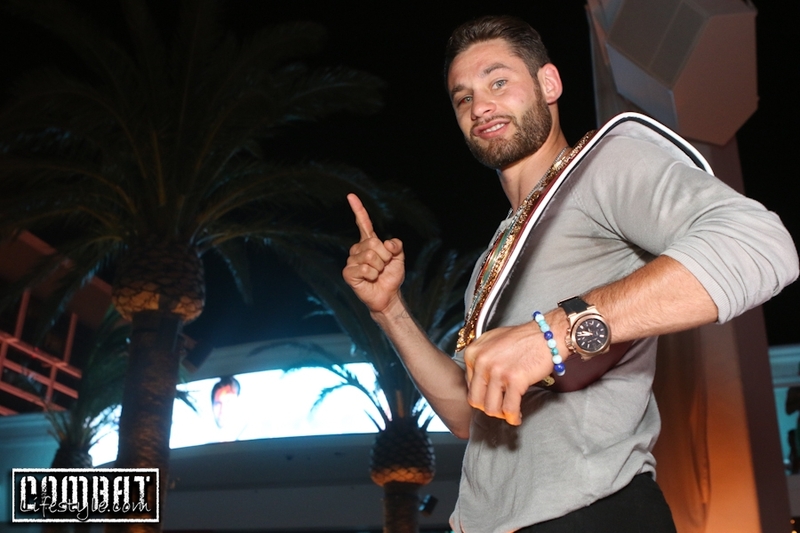 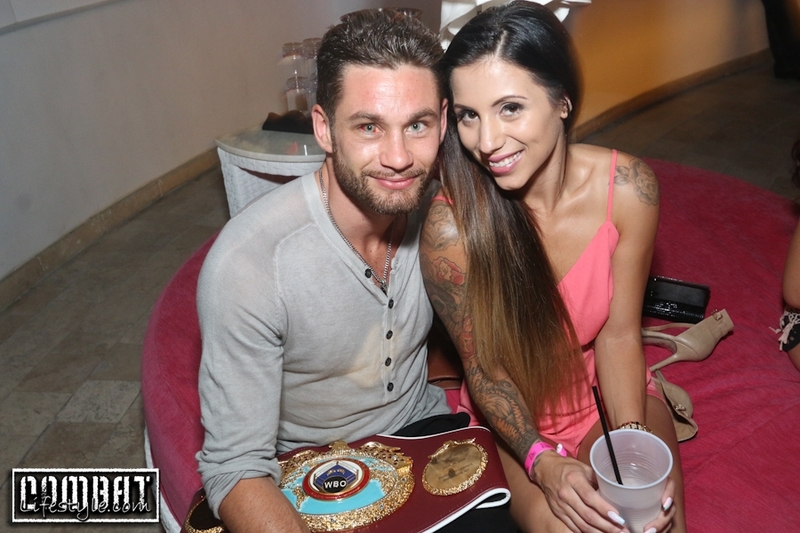 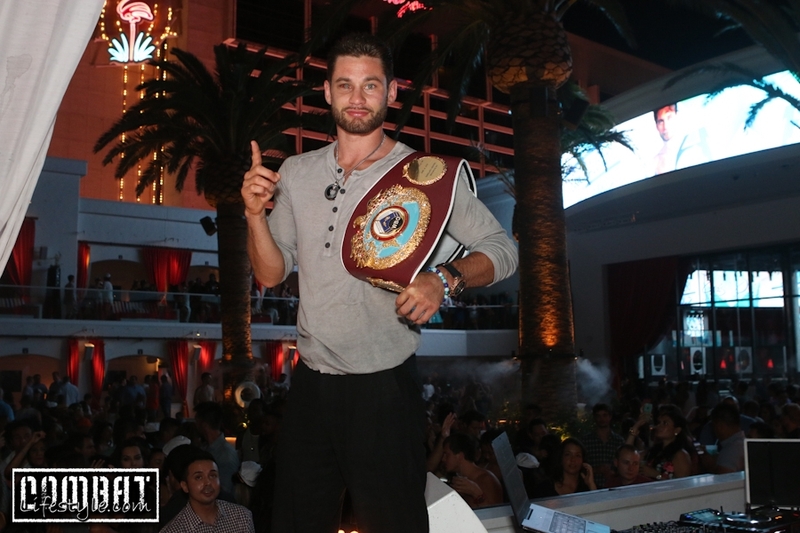 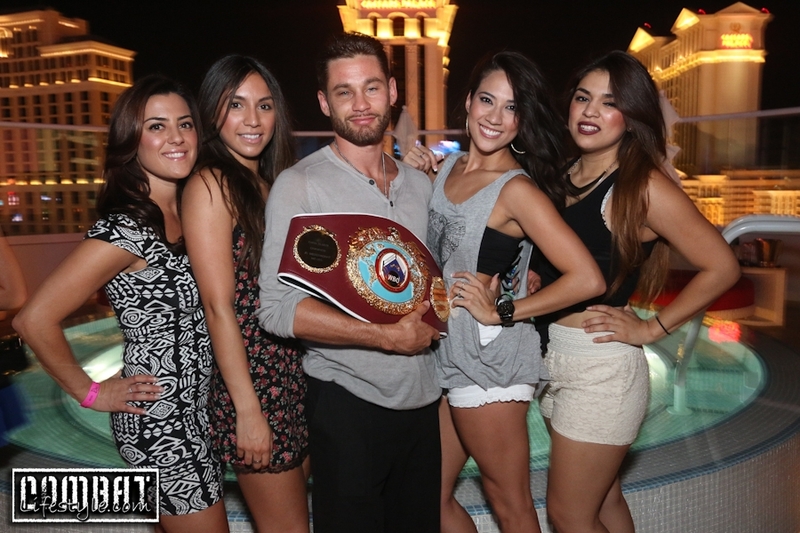 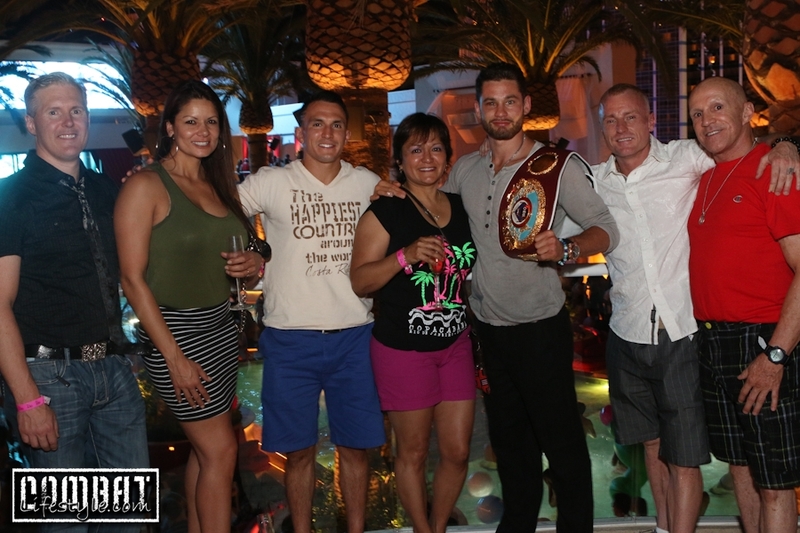 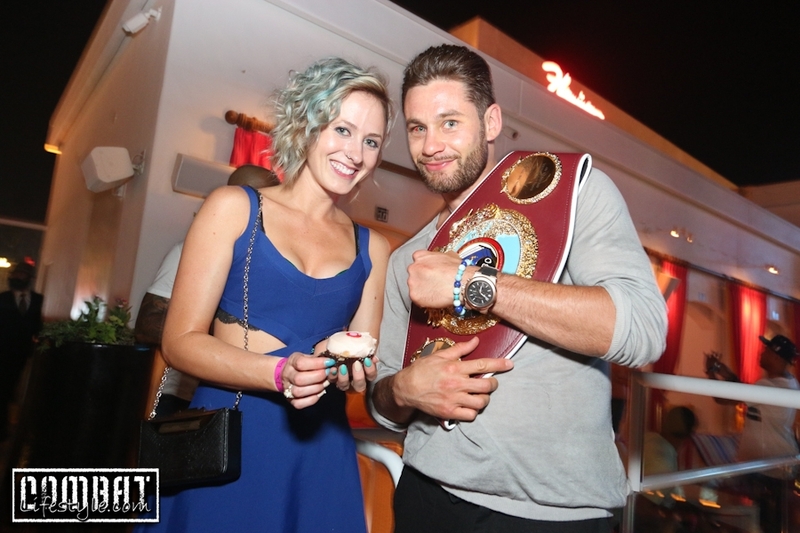 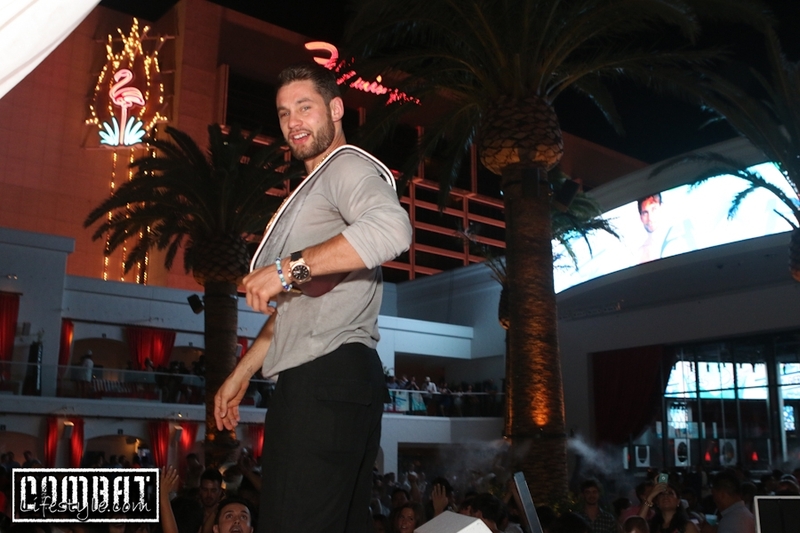 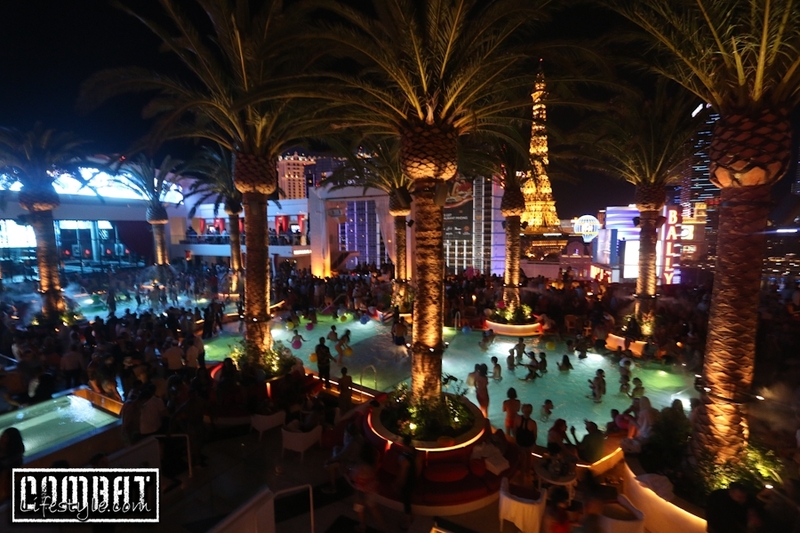 Chris Algieri Celebrates Win and Potential Manny Pacquiao Matchup at Drai’s in Las Vegas last Tuesday night with family and friends. 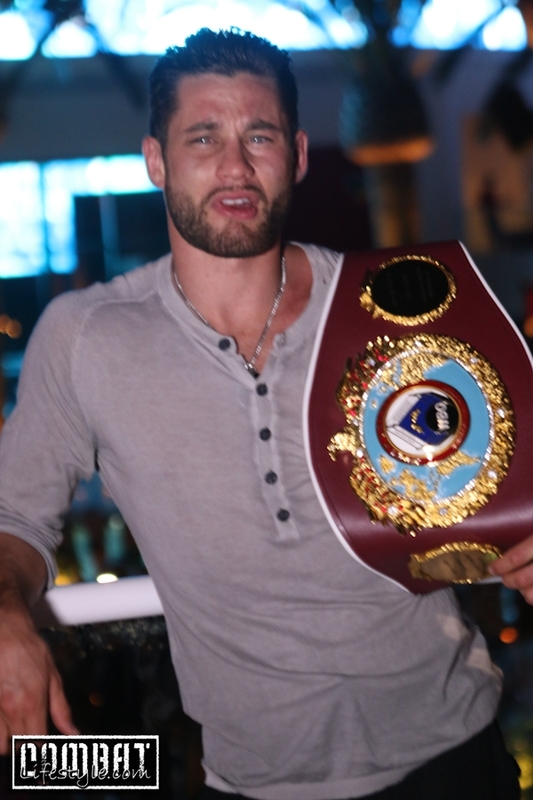 He fought June 14, 2014 and defeated Ruslan Provodnikov headlined on HBO’s “Boxing After Dark” card at the Barclays Center in Brooklyn, N.Y., by Split Decision to become the new WBO Light Welterweight Champion. 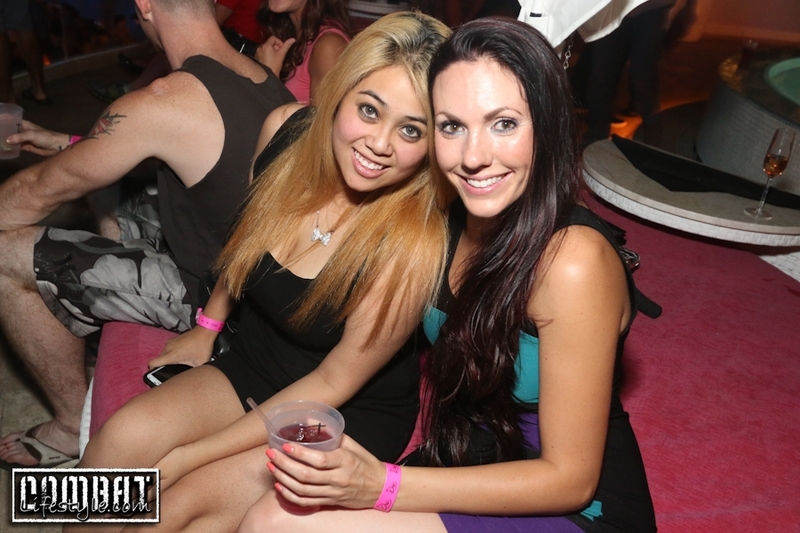 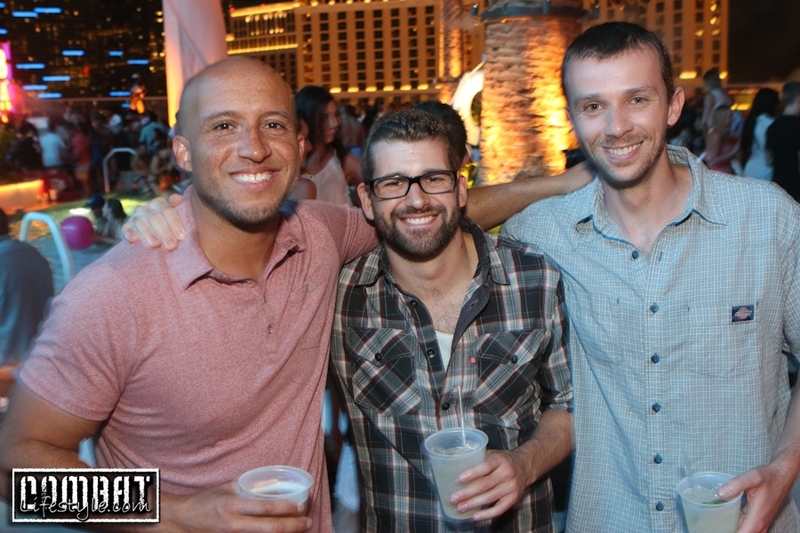 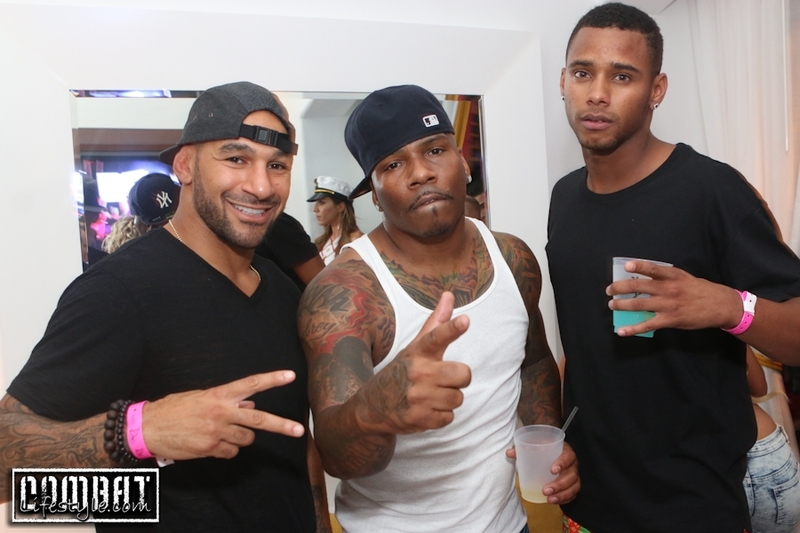 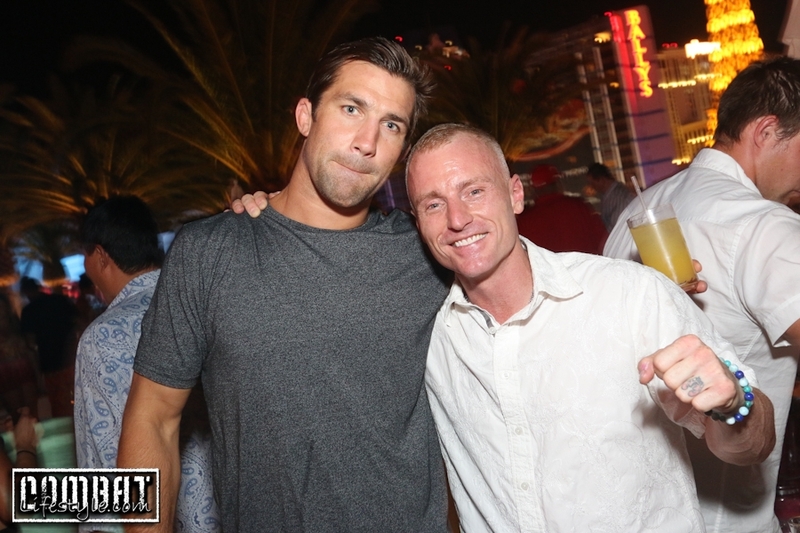 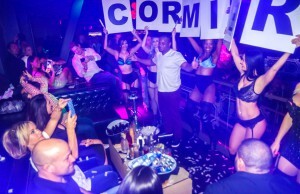 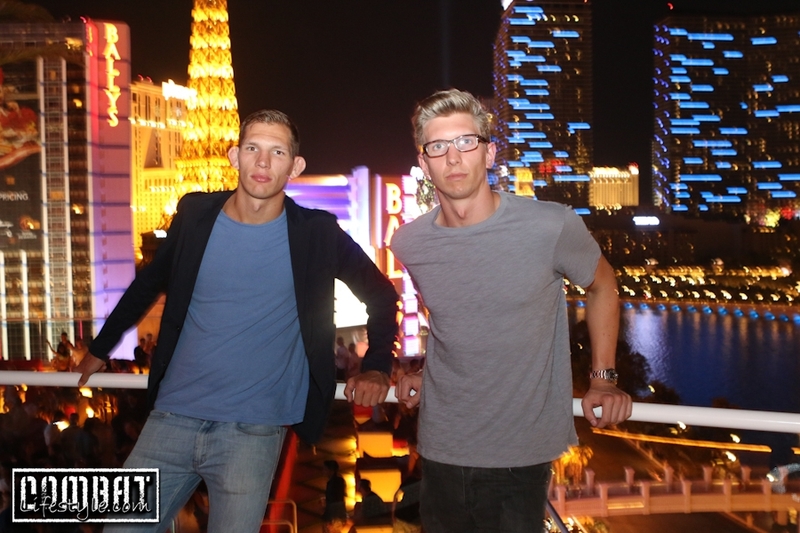 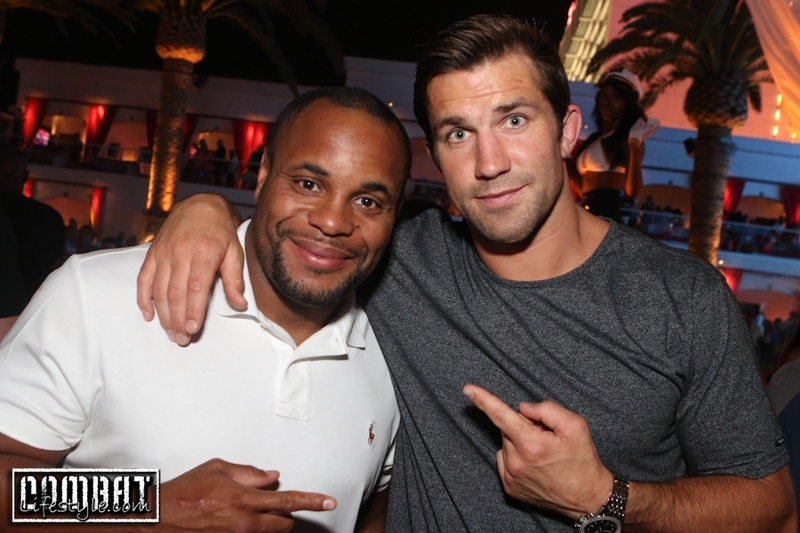 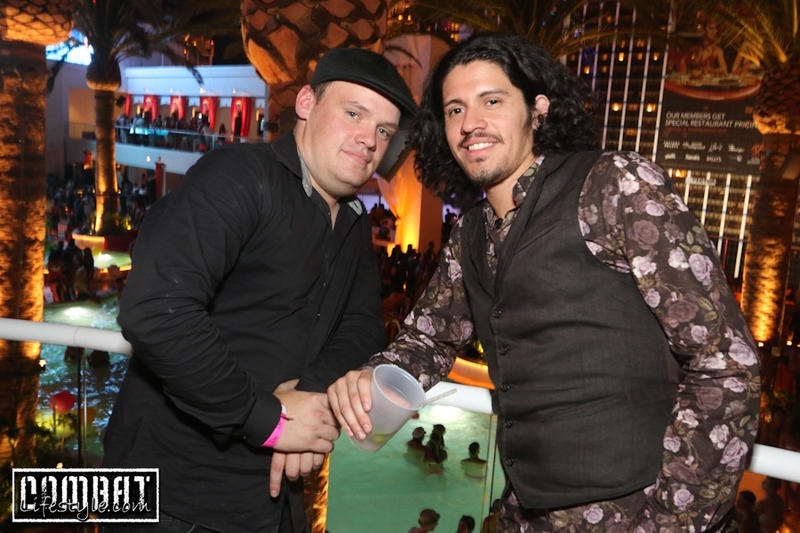 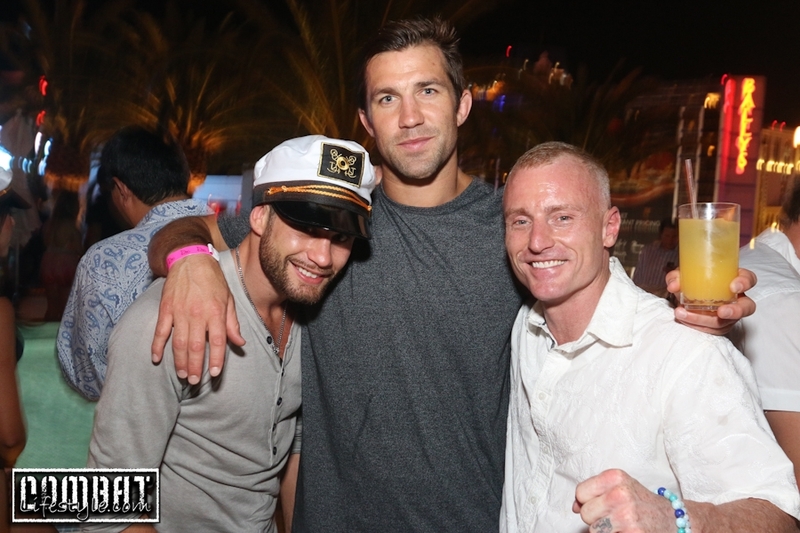 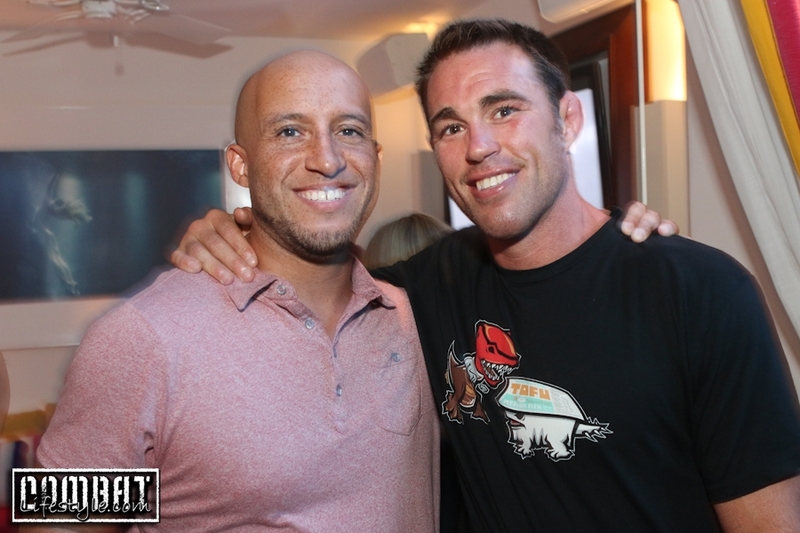 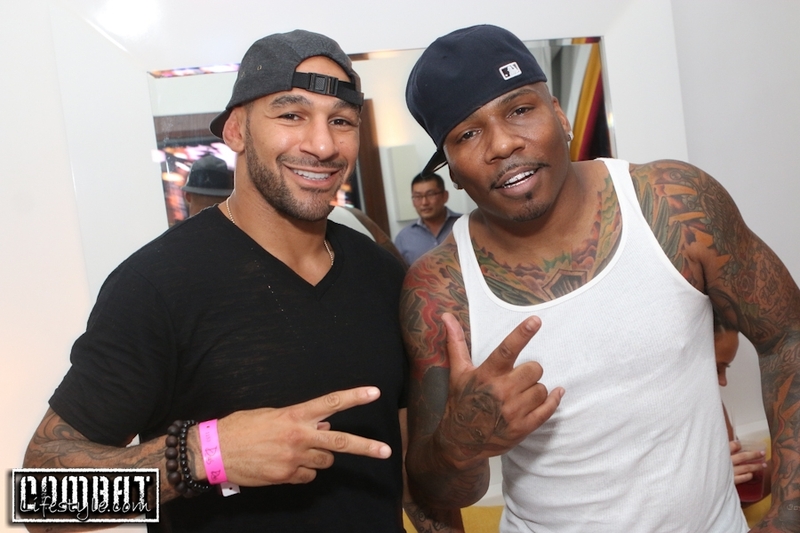 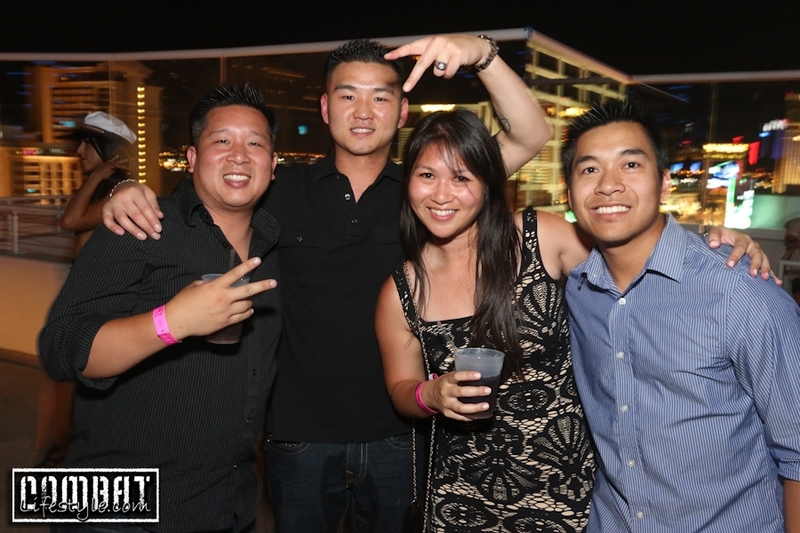 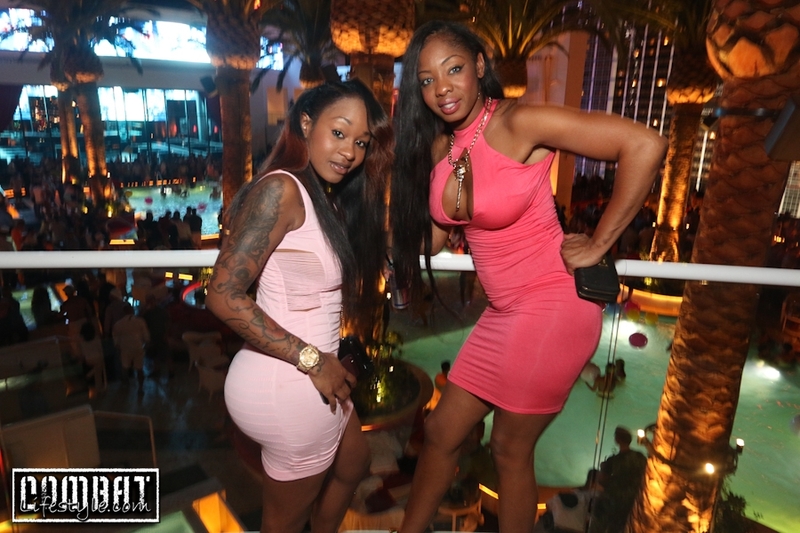 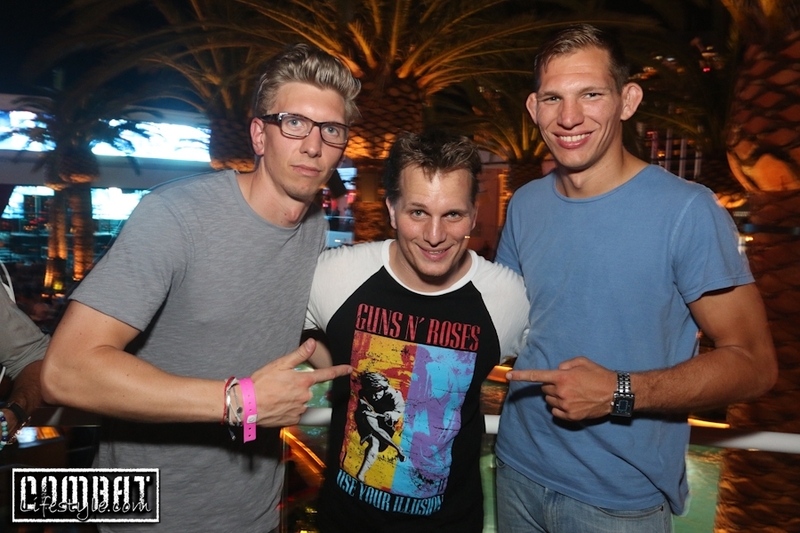 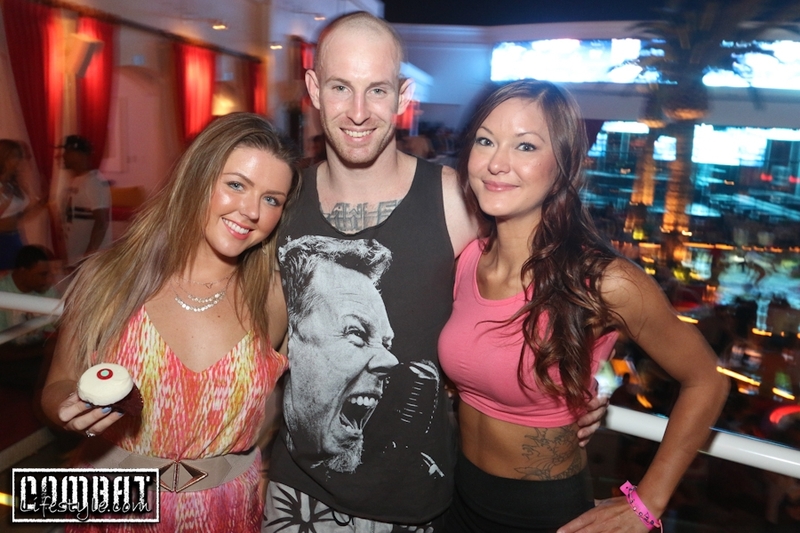 A couple familiar faces were on the guest list including Chris’ boxing coach, Tim Lane, as well as MMA fighters Luke Barnatt, Jake Shields, Nick Diaz, Daniel Cormier, Luke Rockhold and Jay Hieron! 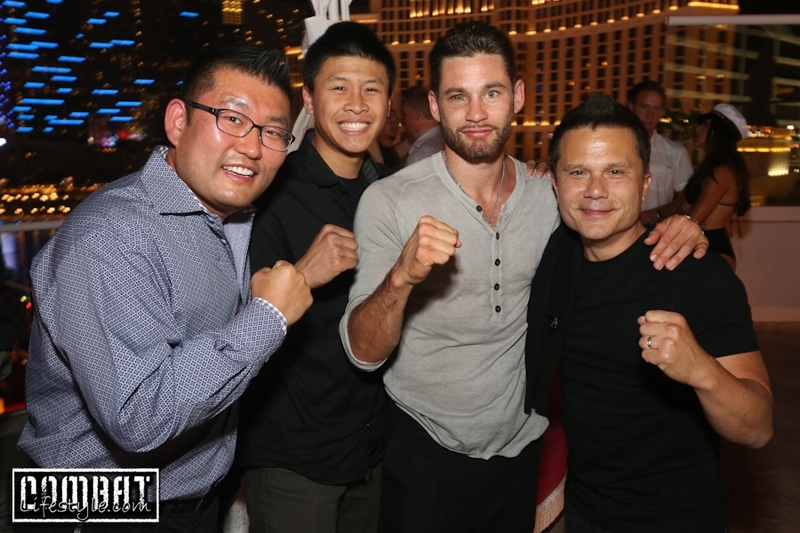 Since the celebration, Chris Algieri has received a formal offer to face Manny Pacquiao on November 22 in Macau, China. 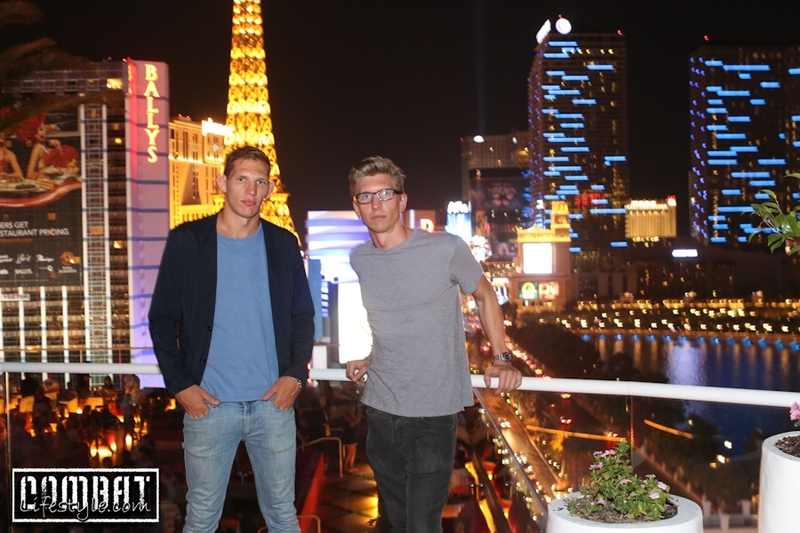 They are currently in the negotiation process which looks to be finalized in the next day or two. 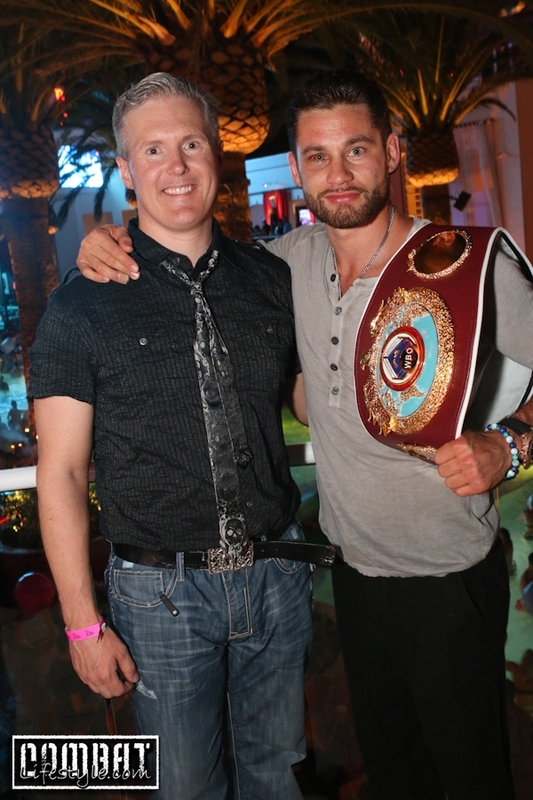 Congratulations on your win, Chris, as well as your potential upcoming bought!! 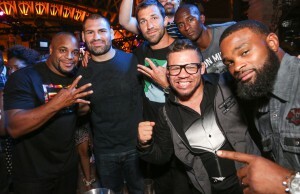 Saturday in San Antonio for UFC on FS1 Daniel Cormier Cain Velasquez and Tracy Lee host Chateau Gardens UFC Fight Week Thursday with Pettis and Diaz Daniel Cormier Proposes on the 4th of July!